Elbow Fitting; Type Flame-Free; Angle 45 Degree; Size A 1-1/8 Inch; Size B 1-1/8 Inch; End Connection ZoomLock x ZoomLock; Material Copper; Material Specification ASTM B75/B743; Pressure Rating 700 PSI; Temperature Rating 250 Deg F; Application Non-Potable Water, High Pressure HVAC/R, Glycol, Heat Pump, Air Conditioning, Refrigeration, Transportation; Applicable Standard UL (Canada and US), ICC-ES, CRN, PMG, IMC, IRC, UMC, ASHRAE 15, ANSI 15, ASME B31.5, ANSI 31.5; Overall Length 4.84 Inch; Insertion Depth 1-1/4 Inch; Vacuum Rating 20 Micron; Burst Pressure Rating 2100 PSI; O-Ring Temperature Rating -40 to 300 Deg F; O-Ring Material HNBRParker ZoomLock braze-free fittings are specially designed to join copper piping without the use of a brazing torch. The one piece fittings are reliably secure, leak-proof, and more repeatable than brazed connections. 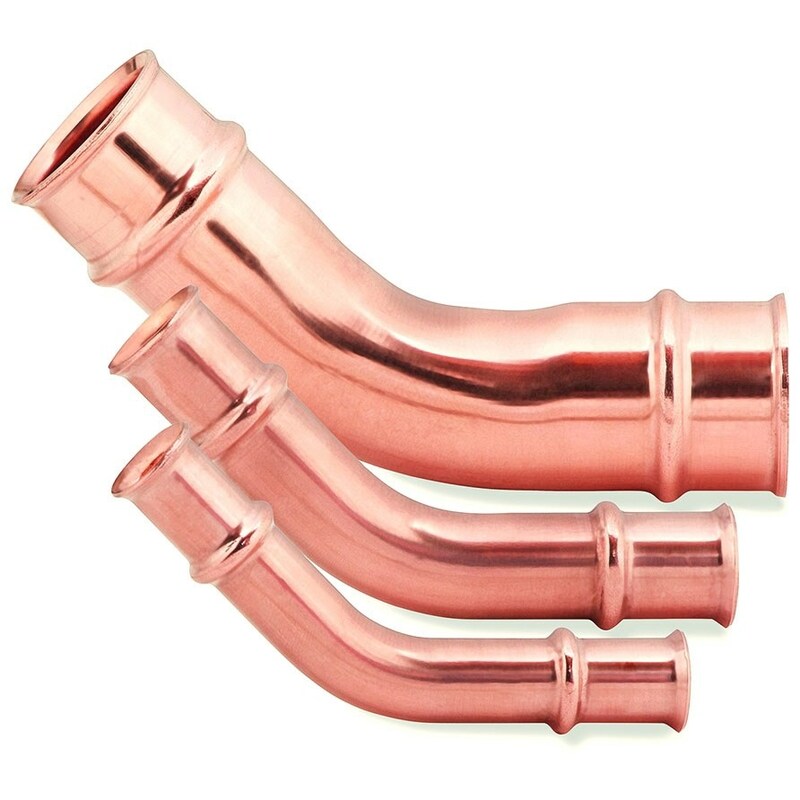 Professionals who use ZoomLock braze-free fittings report time and labor savings of 40%-60% as compared to brazing.